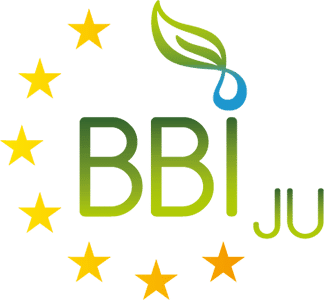 The first day of the workshop, organized by the European Commission, DG Agriculture and Rural Development, will include a session of presentations from Member States on best practices in the design and the implementation of National Bioeconomy Strategies (NBES). This includes actions specifically targeting the integration of primary producers (farmers and forestry owners) and promoting the deployment of the BE in rural areas. Project examples, typology of projects supported will serve as illustration of the policy choices taken at national, regional and local levels. Markus Rarbach, Head of Start-up Business Biofuels and Derivatives at Clariant Produkte (Deutschland) GmbH and coordinator of the LIGNOFLAG project will present how advanced biofuels can offer new business opportunities to farmers in Rumania and talk about strategies, logistics and experiences during the project. On the second day, individual projects will have the possibility to present good and innovative business practices in building up value chains successfully involving the primary producers into the creation of added-value and redistribution of benefits. The projects will present business models that could be replicated as good practice across the board in other Member States. Finally, the key-issues mentioned and discussed during the workshop will be summarized in a wrap-up session in order to single out key messages to policy makers at EU, national, regional and local levels in terms of good practices in developing and implementing a successful NBES.